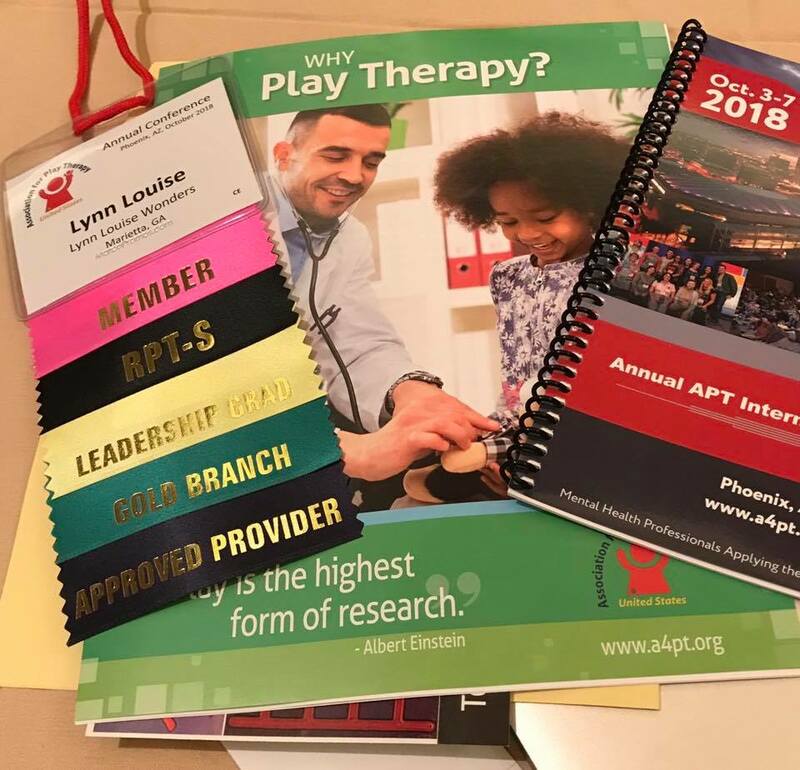 I traveled to Phoenix, Arizona this week to attend the APT national conference and I feel inspired to share with therapists who practice play therapy reasons to attend the APT play therapy conference in 2019! I want you to start saving your money and plan to attend in Dallas next year because it will enrich your play therapy career. And I am on a mission to support and help therapists grow your play therapy practice! Grow your play therapy practice! 1. Get an infusion of new energy and inspiration! There is something so special about being surrounded by play therapists, learning together, shopping in the exhibition hall together, enjoying meals together and attending inspiring presentations together. Attending the conference always has me infused with a new level of excited energy and always growing inspiration as to the power of the work we all are doing in play therapy. If you’ve felt at all burned out, attending a conference can give you a powerful pick up and get you moving with new ideas for interventions. You will inevitably get opportunity to meet fascinating people from all over the country – even from other countries! 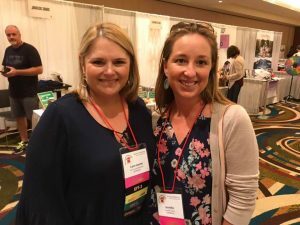 You will get to meet and learn with some of the greatest play therapy trainers and you will leave with valuable connections in the field of play therapy which can only help you grow your professional network and grow your play therapy practice. 3. Feel a part of something so much bigger! We can often feel alone in the field of play therapy if we work in a smaller town or are the only play therapist for miles around. When you attend the APT conference you will realize you are a piece and part of a great movement, a great profession that is truly making a difference in the world to help children and families heal and grow. 4. Load up on great new ideas for treating your clients! As long as I have been practicing, I always come away from APT conferences with loads of new ideas for how to help children and families heal and grow through play therapy. I never stop being amazed by the breadth and depth of creativity people have whether developers of play equipment, creative expressive supplies or trainers who teach us wonderful new interventions. You will go home with your tool kit filled with new interventions. Play therapists know how to play. Our playful spirits shine through and when we come together under one big roof, we can’t help but have fun together. I’ve laughed more this week and felt more joy the past few days than I have in a very long time. There is something profound about group energy. We know the power of play in terms of our clients’ healing and growth, but we forget how important play, fun, joy is for our own self care. Attending the APT conference is a profound reminder of how we can benefit ourselves from the experience of FUN. I hope you will decide to attend the 2019 APT conference in Dallas, Texas! Start saving your dollars and make it a priority and investment into your career. Grow your play therapy practice by plugging into your professional association. I do agree Lynn! Getting to spend time with more than a thousand play therapists creates such an energy! And then to learn from some of the legends in our field us always so inspiring! And getting to meet people you admire and make connections in incredible. I’m already looking forward to 2019! I love your energy! It’s in all you write !